I have been involved in the Startup industry for almost my entire life. For the past six years I have co-founded a number of Blockchain companies and now offer my Advising and Consulting services to companies who are disrupting a number or industries such as Big data, AI, Fintech, Banking. I have been involved also in assisting and advising a number of funds and when Elpis approached me and I learned about their purpose to use AI to maximize profits and minimizing risks, this made me want to look into the business further and to add value to the business further. As mentioned I am now Advising and Consulting for a number of Blockchain companies regarding the business models, strategies, access to advisors, and assisting them with a marketing outreach program to broaden the reach to investors that in turn may show interest through their ICO campaign. I believe that the Blockchain industry is here for the longterm and together with a number of industry leaders and experts we are developing a number of tools and services to add value to the Blockchain and Fintech industry. Why did you decide to become an advisor for Elpis? For business AI’s potential could be fundamental for future growth. Using AI in terms of investments funds could deliver immediate business benefits. Elpis founders are passionate about making this a reality, and this is one of the reasons I accepted the position as Advisor.Showing clear skills and dedication to build and to manage both assets and digital assets through Artificial Intelligence, and creating more value for the investors, could be a game changer. How can people find out more about 1? Elpis 2. you & your work? For Elpis, you can review the information on https://elpisinvestments.com/ or chat to them on telegram. 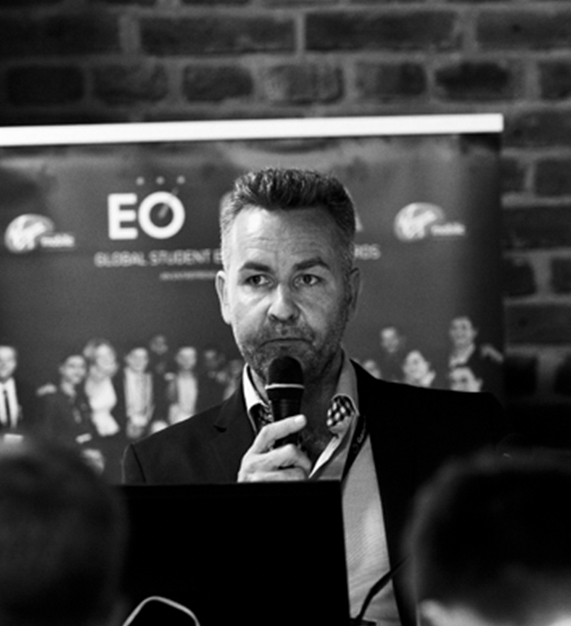 Ian Scarffe is a serial entrepreneur, investor and consultant with business experience from around the world. A leading expert in Bitcoin, Blockchain and Crypto industries, Ian is at the very heart of revolutionizing the financing industry across the globe and currently consults and advises for a range of companies. Ian’s overall mission is to foster a society of economically independent individuals who are engaged citizens, contributing to the improvement of their communities across the world. Ian’s entrepreneurial skills were evident when he set up his first company and securing a 10 year contract to provide cleaning services for the AustralianFormula 1 Grand Prix. The success of this venture and business acumen led Ian to becoming the Entrepreneur Business Mentor at Adelaide University as well as being inducted to the board of the Entrepreneurs Organization, before moving to Europe where Ian became a consultant for the banking industries. Ian now focuses on the Blockchain industry and offers advice, consulting services and connections to Blockchain experts. Most recently Ian has founded ‘Binkplus’, a startup incubator in Europe. Ian Scarffe has outstanding entrepreneurial skills and commercial acumen with innovation and motivation. With the capacity to work at strategic levels, Ian possess exceptional interpersonal, communication and negotiation skills.